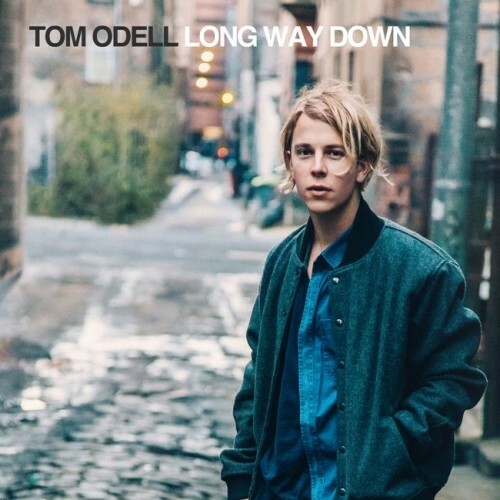 It’s been a good year for singer-songwriters so far, with the likes of Frank Turner, Passenger, Gabrielle Aplin and others storming the charts, and this trend looks set to continue with Tom Odell’s debut full-length ‘Long Way Down’. However, whereas the previous artists produced albums that deserved their success the same can’t be said about Odell’s effort. It’s a sad truth that Odell will be successful, because he makes music that the majority of the general public will lap up. He’s a young man who substitutes acoustic guitar for the piano, looks good doing it and produces songs that are expected of a male Taylor Swift. I went in expecting a unique album that changed the formula a little, but just ends up being incredibly dull as a result of the songs it contains. Lead single ‘Another Love’ was at least promising, but is easily the best song on the album and the songs surrounding it do more to highlight it’s quality and detract from their own. There’s only so many songs about heartbreak and love a 22 year old can ‘sing’ before the whole thing becomes it’s own horrible cliche, and this happens sooner rather than later in ‘Long Way Down’. It’s an album that’s destined for awards because of the demographic it’s aimed at but simply doesn’t deserve any positive accolade. The album has good intentions, and isn’t too bad musically, but it all sounds so familiar in the worst kind of way. Odell croons and wails his way across tracks, normally with backing singers that drown him out on occasion. It also lacks any integrity as a result of it’s differing sounds, and seems to have a number of conflicting influences. Odell’s vocals don’t always match the song playing behind them, and it all sounds a bit of disjointed hash of sounds by track 4. Out of place guitar and piano solo’s don’t fit, and just come across as an effort to add style, without addressing the lack of substance first. Lyrically the album isn’t too bad, but never tries to push boundaries and just sticks to pop cliches, you’ve heard the same songs sung differently by a variety of artists over the years, and therefore ‘Long Way Down’ doesn’t bring anything new to the table, just plays it safe and waits for teenage girls to take it all in and feel sorry for him. ‘Long Way Down’ is unintelligent pop music at it’s absolute worst, and is a product of what’s expected of the genre, producing a bland album that never meets the standards of the two EP’s that preceded it. I’m glad you like him more than I do. He’s probably still destined for big success.